World War II placed a large burden on Denver being the only mortician in the area. Uncle Sam would not allow him to leave. He was to serve his country by caring for those who lost their loved ones during this difficult time. With the support of the entire community working together, Mountain Home earned the eternal gratitude from the Rollers, who have always tried to give back more than they received. In the mid-fifties, Denver moved his family to Little Rock where they acquired Drummond Funeral Home. The sixties saw his vision coming together. The families of Pence, Johnson and McNutt sought his guidance and expertise. They wanted the Rollers to take care of their entrusted families. So, McNutt in Conway and Citizens in West Memphis were acquired. McNutt's motto, "To serve as we would be served" was established to guide each funeral director in the principles of serving their local families "With All Our Respect". In the seventies, the Rollers united their businesses under the symbol of an ascending white dove on a blue background. This built the foundation of a strong and caring organization that proved successful. Soon, quality funeral directors around the state were joined under the dove and the service it represents. Denver Roller was a man of great vision that studied his profession not only in the United States but also abroad. His self-studies lead him to establish Arkansas' first crematory in 1974. He then created the Assured Peace Funeral Plan, which today is the leading pre-paid funeral plan in Arkansas. Over 80,000 Arkansans have pre-arranged and pre-paid their funeral with Assured Peace and Roller Funeral Homes. During the late seventies and into the eighties, they saw the need for families to secure their future. The transformation from Drummond Citizens Insurance Company to Citizens Fidelity Insurance Company (CFI) was complete. The Roller's daughter Sue Roller Jenkins, and her husband, Lynn, built CFI into one of the state's largest domestic companies; it's mission being to help Arkansas citizens prepare for the costs associated with death. 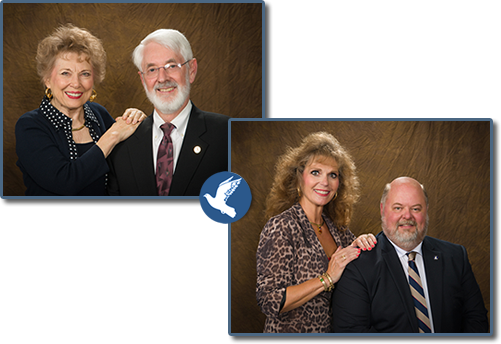 Both still hold positions on the Board of CFI and Roller Funeral Homes. At Denver's death in 1985, there were thirteen funeral homes, five cemeteries and two crematories operating under the principles he and Christine had established. 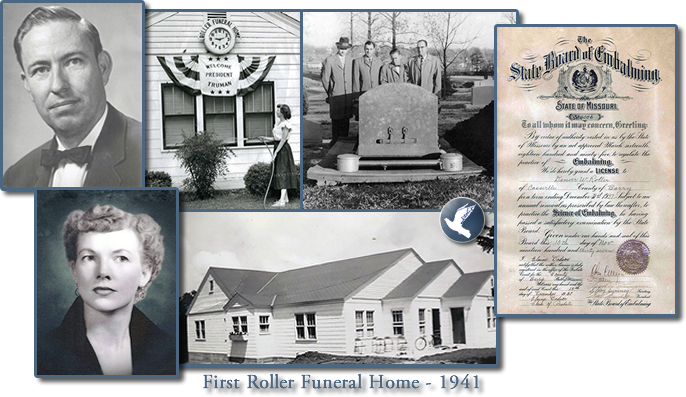 To this day, Roller Funeral Homes are owned entirely by the Roller family. Denver and Christine's granddaughter, Renata Jenkins Byler (3rd generation, Owner), is Vice President of Facilities and Marketing for the funeral homes and Secretary for CFI. Renata's husband, Tim Byler, is Vice President of Management Information Systems for Roller and also Vice President and a member of the Board of Directors for CFI. The Roller's second and third generations continue their gratitude towards Mountain Home. The Rollers were instrumental in establishing the School for Mortuary Science at ASU Mountain Home where they still serve on the Advisory Board to the President. Now, students from Arkansas do not have to leave the state for their professional education. Mrs. Byler states, "We are a company of family values with professional management". The founding principles of honesty, loyalty and genuine concern for others have merited many accolades for the Rollers and their organization in which they have humbly accepted. The Office of the Governor, Division of Volunteerism, and KATV awarded their employees with the "Corporate Humanitarian Award". Roller Funeral Homes has been chosen as "Arkansas' Best of the Best" in the readership poll for the Arkansas Democrat Gazette for 17 consecutive years since 1999. The Arkansas Times awarded Roller Funeral Homes as "Best of Arkansas" in 2015. Arkansas Business has also honored Roller Funeral Homes as a finalist as the "Arkansas Business of the Year". Baxter Memorial Gardens, Inc (Baxter Crematory).